LED light bulbs could pave the way for efficient energy consumption worldwide. Two decades ago, China began its ascent to a global economic powerhouse. At the same time, awareness grew over how much of the world’s resources (20%) America was consuming. However, the debate centered not around cutting US consumption, but on what would happen if China reached US-levels of energy consumption. Fortunately, as China, Brazil, and India developed, so too did energy efficient lighting. At the moment, China consumes a middling amount of energy per person. In fact, it works out to just one quarter of that used by the US. 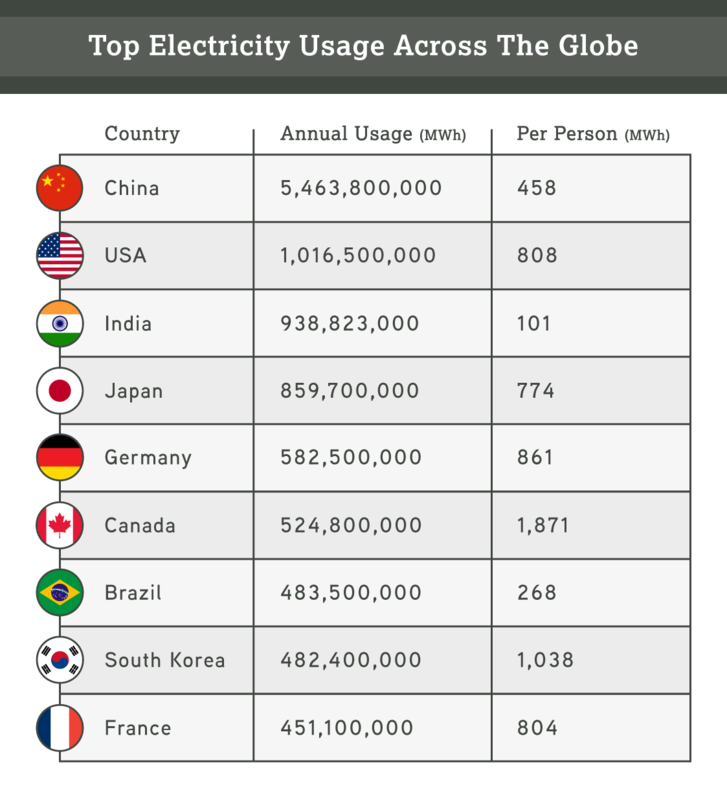 However, with a population of 1.5 billion (compared to 330 million Americans), China is now the single largest consumer of electricity in the world. No other country comes close to these two nations, though Canada consumes more electricity per person than America. With those numbers in mind, it’s clear to see why energy efficient lighting is spreading: ensuring our access to power remains stable is a necessary part of our future. In fact, many nations and regions have taken to banning inefficient lighting — but even their preferred replacements are under threat from the humble LED. Leading LED retailers report that the LED market grew from 18% in 2013 to 31% in 2015, and is projected to reach 70% in 2020. LED light bulbs last longer, require less energy to use, and produce fewer carbon emissions. Those benefits are exponential in populous countries like China. The growing popularity of LED light bulbs means that developing countries, as well as industrialized nations, are benefiting from energy efficient lighting that preserves the planet. And as a welcome side effect, developed nations can cut their consumption down to more reasonable levels with energy efficient lighting. Of course, it’s worth noting that lighting is only a small fraction of the energy market, and more reforms need to be enacted to get overall levels under control. In the meantime, though, we’re rooting for LEDs — and looking forward to watching them light our world’s future. Contributed by Phoebe Parlade. If you want to write for Green Future, check out our submission guidelines here. "The LED market grew from 18% in 2013 to 31% in 2015, and is projected to reach 70% in 2020."